Two soldiers, named Hall and Morrison, were on the 26th July tried for a highway robbery at the Stafford Assizes, before Baron Garrow, convicted, and ordered to be executed. They were prosecuted by a man named Read, a bricklayers labourer, who swore that they knocked him down and robbed him of a shilling and a penny, in a church-yard at Wolverhampton, on the 23d July. The evidence of the woman in whose house the prisoners resided, went to prove that they did not sleep at home on the night of the imputed robbery. To those two witnesses the evidence was confined, and against it there appeared nothing upon the trial, except the declarations of the prisoners, containing facts which were afterwards sworn to be others, and which, after the utmost labour of a few benevolent persons, were the means of saving the innocent prisoners from a death which appeared to all to be inevitable. The two soldiers were, upon the 23d of July, drinking at an hour too late for admission at their lodging at Wolverhampton, and, after applying in vain to be allowed to go into the guardroom to sleep, walked about the village to kill time. In loitering through the church-yard they met a man who seemed to be in want of work, and, like themselves, without a lodging for the night. A conversation ensued, and the stranger told them his name was Read; that he was a bricklayer’s labourer out of employment, and a Hertfordshire man. It happened, that in his description he hit upon the part of the country from which one of the prisoners came. A jesting dialogue took place between them, and at length it was agreed that they should wrestle. Hall was the friendly opponent of Read upon the occasion, and he was thrown in the first round of wrestling. 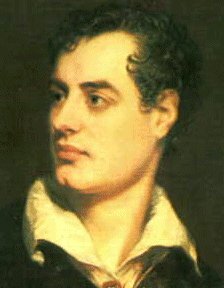 In the second, however, Hall was more successful in the feat of activity, but his triumph nearly robbed him of his life. The vanquished man dropped a shilling and a penny from his pocket. Morrison immediately picked up the money, said it would do for beer, and put it into his pocket. The soldiers quizzed Read about his loss, and were heard by a watchman near the spot acknowledging that they had the shilling, and would certainly dispose of it in the most convivial way. Read growled about his money, and showed a disposition to quarrel, but did not utter a word about his being robbed of it. About five o’clock in the morning the three were seen near the market-place by another watchman, and the soldiers were bantering Read upon the same subject. The good humour of Read, however, at this time, appeared quite broken up; he spoke of having the soldiers taken into custody, but was answered by a laugh from them. A grocer, named Powis, saw them all under similar circumstances, and heard Read complain of no attempt at robbery, but saw that he was not pleased at being laughed at. The event, however, soon explained the language. Roberts immediately inquired after Read, questioned him upon the loss he had sustained, and in a very short time apprehended the two soldiers upon the charge of robbing Read in the highway of a shilling and a penny. Before the magistrate, Read swore that the soldiers knocked him down and robbed him of his money in the church-yard. Their commitment was immediately made out, and they were sent to the Assizes of Stafford, where, on the Saturday following they were tried and condemned for the capital offense. The inhabitants of Wolverhampton knew nothing of the intention of Read upon the interference of Roberts in this transaction. It was generally concluded amongst them that the angry state of mind in which Read appeared, would have influenced him to swear a common assault, but nothing at all serious was apprehended from the wrestling bout. There was consequently no interference upon the part of those who were acquainted with many of the circumstances; and the matter died away until the village was struck with horror at an account in the Stafford paper of the proceedings of the Assizes. An old man was reading the paper in an ale-house to a number of politicians, who were not much affected at any thing they heard until he came to that part which stated the number of persons left for execution. Amongst the names were those of Hall and Morrison. The whole population of Wolverhampton instantly showed how they felt upon an occasion so dreadful. The Rev. Mr. Guard, one of the most venerable characters in that part of the country, who officiates in the village where Hall’s family resides, upon hearing the event of the trial, set out for Wolverhampton, where he found the people already meeting and acting upon this subject. The men were to be hanged this day (Saturday last), and not a moment was to be lost. Mr. Guard, who had known Hall from his infancy, and would have staked his life upon the integrity of the young man, made a quick but deep inquiry into the facts, and having found every thing confirmatory of his innocence, followed Baron Garrow on his circuit to state what he had learned from the very best authority, and obtain a respite. Mr. Baron Garrow was naturally offended at this intemperate observation, and an eminent Barrister remarked, that Mr. Guard’s object was wholly defeated by the use of it. Mr. Guard was not, however, to be turned from the endeavour to save the lives of the two soldiers; there was another quarter to which he could apply. He immediately came to town, and went without ceremony to Lord Sidmouth, to whom he obtained an easy access. He remained in conversation with his Lordship between three and four hours, and Lord Sidmouth afterwards declared, that he never in his life saw such an interest taken in the fate of men who were not related by domestic ties to the individuals whom he was labouring to save. This meeting gave Mr. Guard hopes; though Lord Sidmouth had observed, that in cases of this kind the Judge was necessarily better acquainted with all the bearings of the evidence than the Secretary of State, and therefore his power was seldom interfered with, except under circumstances of strong fact. Mr. Guard posted back to Wolverhampton the moment after he parted from the Secretary. A meeting of the inhabitants was called, at which Mr. Mander, and all the other respectable residents of Wolverhampton attended. The witnesses were sworn, and a Petition to the Prince Regent was signed and delivered into the hands of Mr. Guard, who, accompanied by Mr. Charles Mander, very soon after arrived in town. These two gentlemen went, with Mr. Pearsall, of Cheapside, to Lord Sidmouth, and put into his hands the evidence of the innocence of the soldiers. His Lordship requested that Mr. Pearsall would relate the circumstance. That gentleman repeated the manner in which Read and the two soldiers had acted in the presence of the watchmen and the grocer. Lord Sidmouth was just going up with the Recorder’s Report, and said, that upon his return he would examine the affidavits, and act upon them. 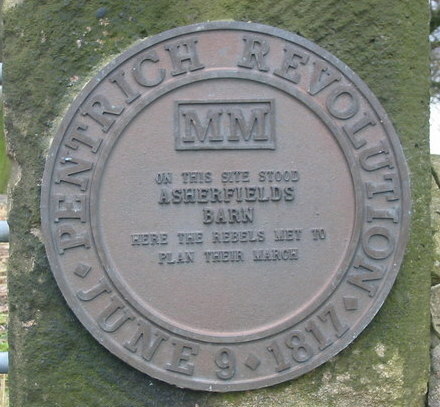 Mr. Pearsall observed, that the men were ordered for execution on Saturday, but was assured by his Lordship that their case should not be neglected, and that the affidavits should be laid before the Attorney-General. Upon the next meeting, Lord Sidmouth said there had been no necessity for laying the affidavits before the Attorney-General. The case, he observed, was one of the most interesting that ever came before him. Mr. Pearsall said there was no doubt that the men had no intention of felony; it would also appear, at another time, that the prosecutor had no intention of indicting them, until he was instigated by Roberts, with the view of gaining the reward called “Blood-money,” which was accordingly pocketed by Read and the keeper of the prison, to the amount of 80l. Lord Sidmouth declared, that, under such circumstances, an immediate investigation should take place. He coincided in the opinion of the impropriety of Roberts’s conduct, and said a pardon would be instantly granted to the soldiers. He also complimented, in the warmest manner, the conduct of Mr. Guard and the other gentleman, who had exerted themselves. In the course of his observations to Lord Sidmouth, Mr. Guard said he would give up half his fortune to save the life of Hall, so convinced was he of his honesty. While these operations were going forward in London, affidavits, copied from those handed to the Secretary, were brought to Mr. Baron Garrow by Lieut. Buchanan, of the same regiment as the soldiers, and a respite was instantly granted by his Lordship when he read them. The Officer stated, that Baron Garrow, upon reading the affidavits, said, if the facts had been known before, their respite should have been granted; and asked whether they would, upon being pardoned, be taken into the regiment again? Lieutenant Buchanan immediately replied, that they would be most gladly received. On this date in 1817, Maggie Houghtaling (alias Peggy Densmore) was hanged in Hudson, N.Y. for infanticide. Houghtaling lived with the mother of 15-month-old Lewis Spencer. One awful day in August — just eight weeks before the consequent execution — the mother popped out of the house a few moments and left Lewis gnawing on a piece of bread under her roommate’s care. When the mother returned, she found the child “apparently in convulsions, its tongue protruded from the mouth, and covered with erosions — the inside of the mouth corrugated, and all the shocking symptons which may be supposed to follow from a potion so horrid.” The potion referred to in this account of the New York Evening Post (September 23, 1817): vitriol, also known as sulfuric acid. It’ll do a number on you. Many, many years later, as the Empire State prepared to execute Roxalana Druse — the very last woman put to death by hanging in New York — one of the numerous pamphlets published in the hope of sparing Ms. Druse curiously resuscitated the Houghtaling hanging. Mrs. Druse’s case and Maggie Houghtaling: An innocent woman hanged claims that the secret of the crime was revealed to its writer by “a tall, handsome lady of middle age and most refined manner” who had “befriended Peggy, when that unfortunate young woman was being tried and she was the last one who prayed in her cell with her before she was led out for execution.” Since Roxalana Druse was hanged seventy years after our Ms. Houghtaling, this refined Samaritan must have discovered the font of middle age. There is no evidence I have been able to locate of the manipulative story purportedly related surfacing in any official fashion to exonerate Maggie Houghtaling (or “Peggy Houghtaling”, here). But doubts aside — and we must allow that the incendiary domestic murder of a child has been known to railroad a body now and again — this qualifies at the very least as intriguing folklore: the young woman publicly executed over her protestations of innocence still maintained a purchase on the public conscience seven decades after her death. God forgive you all for hanging me; but I am innocent, and my only prayer is that some day it may be proved and the black spot taken off my name and memory. That some day did not come for several years, and then the real murderess was found. She had been a rival of poor Peggy’s in the affections of the same man, and was “cut out” as she called it, by Peggy. In her disappointment and rage she resolved on revenge, but buried it in her heart, and appeared very friendly and indifferent on the surface. At last she got her opportunity, and she cold-bloodedly murdered Peggy’s child. [sic] Her devilish plot had been laid with the most consummate skill, in such a way that suspicion was thrown upon the mother, who accordingly was arrested. The public mind was aroused to the highest point of excitement, most especially by the testimony of this very witness, given on the stand amidst a flow of crocodile tears, and apparently with great reluctance. Her revenge was thus complete; but as he always does, the devil sowed in her bosom the little black seed of remorse, and it sprouted and grew, and spread, until she was the most unhappy wretch in existence. At night the ghosts of her two victims came to her in her sleep, and she would wake up screaming with terror and in daytime her imagination brought them before her, at times so vividly that she would fall in fits. In the midst of one of these awful paroxysms the guilty wretch suddenly expired, and her soul stood in the presence of her Maker, to answer for the hideous crime she had committed on earth. ** By the conventions of the execution bulletin, condemned prisoners are remarked “indifferent” when their composure exceeds the reporter’s own. † I have no idea whether it actually relates to this date’s events but one would be remiss not to mention that the next lane north of State Street in Hudson is something called Rope Alley. On this date in 1817, Mexican War of Independence heroine Gertrudis Bocanegra was publicly shot in her native town of Pátzcuaro for treason. Bocanegra (English Wikipedia entry | Spanish), a literate Enlightenment woman was already 45 years old when the rebellion against the Spanish empire broke out. Her husband and son joined Hidalgo‘s forces, in which service they would lay down their own lives. 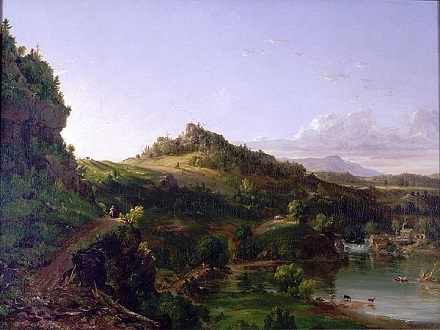 (cc) image from eperales depicts Juan O’Gorman‘s monumental Historia de Michoacan. We’ve seen this monument before, as it depicts the Spanish burning to death the last native Tarasco ruler. 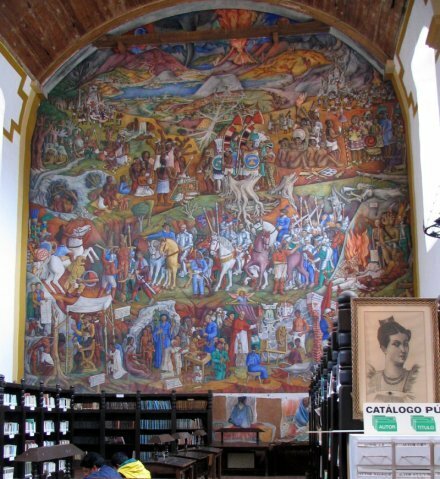 Bocanegra’s own execution is also shown in the mural — in the lower right, obscured by the bookshelves in the photograph above, but captured in detail in this Spanish blog post.